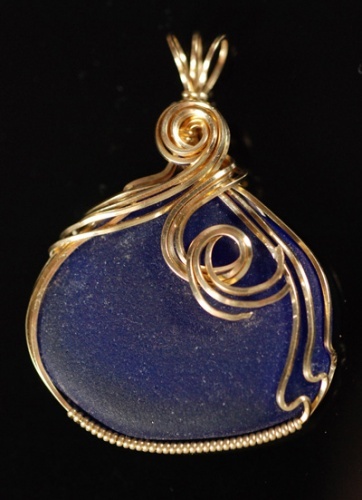 This one of a kind, gorgeous pendant is wrapped in 14k gold filled wire. Swirls of gold just make the color of this piece pop. Chain included.